The importance of fundraising donations cannot be underestimated. Without them Jigsaw would not develop and expand to provide the range of resources and equipment that are so important for our pupils. Facilities at the School which have been made possible thanks to fundraising donations include: the Sensory Room, Food Tech Room, Early Years Sensory Play Area and Library. 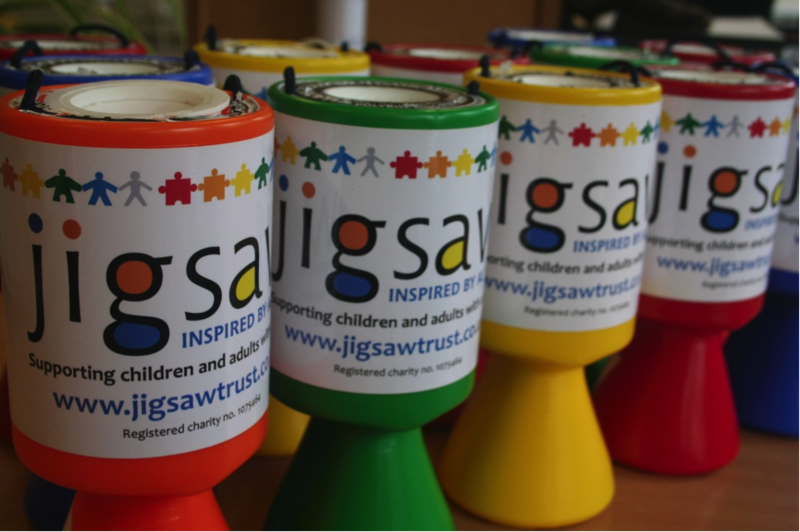 There are three different ways of making a donation to Jigsaw. Many of our supporters find our Just Giving page to be the quickest and easiest way to make one-off or monthly payments. To go directly to our Just Giving page click here or use the Donate Online button at the bottom of the page. If you are taking part in an event in aid of Jigsaw then you can always set up your own Just Giving page and email friends and family to sponsor you online. Please speak to our Fundraising Team if you’d like their help with this. To donate via text message just text the amount to 70070. For example, to donate £10 just text: JIGS01 £10 to 70070. Regular donations allow us to organise and carry out projects safe in the knowledge that our income is secure. To make a regular payment please download a printable Standing Order Mandate. A small regular gift allows us to plan ahead more effectively, knowing that we have funds coming in each month to help support our projects. The amount and frequency of your donation is entirely up to you. Send a cheque, payable to ‘The Jigsaw Trust’, to Fundraising Dept., Jigsaw Trust, Building 20, Dunsfold Park, Stovolds Hill, Cranleigh, Surrey GU6 8TB. If you are a UK taxpayer then the Inland Revenue will add 25p to every £1 you give, at no extra cost to you. Just download the Jigsaw Gift Aid Form and enclose it with your donation. If your company is looking for a charity to support then please consider Jigsaw. There are many ways you can get involved, including adopting us as your ‘Charity of the Year’, event sponsorship and employee fundraising. In return we can support you in your events and offer company volunteering opportunities. For more information about fundraising for Jigsaw please email [email protected] or call us on 01483 273874.